Sheer Web Host, a division of Sheer Web LLC, is a full-service hosting company headed by certified Webmaster Reesa Marchetti. Since its origin as the Sheer Web Design company in 1996, Sheer Web LLC has expanded its services to meet client demands for solid, affordable hosting; e-commerce; dedicated servers; and virtual private servers. The business office is in Glassboro, N.J., while the main network data center is located in Dallas, Texas. 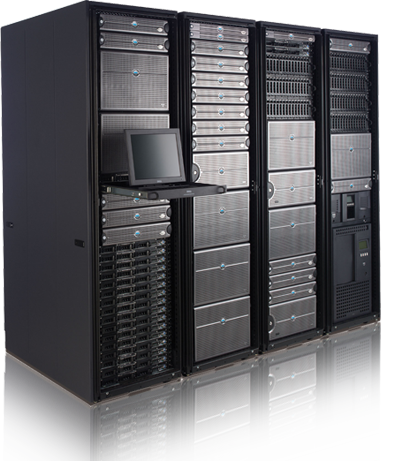 Some of our specialized servers are located in our Toronto, Canada datacenter. Sheer Web provides reliable, economical Web hosting plans with personal support. Businesses, creative artists and family members trust us with their Web presence every day. For more demanding business needs, we recommend one of our dedicated or virtual private servers customized especially for your company. Our Cart32 plans emphasize service to businesses that want an efficient e-commerce system. You’ll be free to focus on your core capabilities while Sheer Web Host supports your Internet site. Each Cart32 account comes with one FREE dedicated IP address, and you can easily install a SSL cert (available for purchase from support@sheerwebhost.com) at your website control panel. We work with McMurtrey & Whitaker, the developer of Cart32, to provide the most up-to-date shopping cart software. Featured plans include WordPress Web hosting and Cart32 eCommerce. Our Linux plans are perfect for artists, musicians, and businesses. Sheer Web Host can help you install applications to show your work in photo galleries, videos, music streams, etc. Phone support at (856) 881-6000 is available from 11 a.m. to 5:30 p.m. weekdays with 24/7 e-mail support. You can use our extensive knowledge base by logging into your website control panel. If you still can’t find an answer, just submit a trouble ticket and we’ll reply in 24 hours or less. Excellent prices aren’t the only reasons why our customers rave about our services! You’ll always talk to a real person and get personalized support when you call us. Sheer Web Host supports clients with cutting-edge hardware, software and technology. All our servers are custom built with the most reliable equipment for higher performance. All our server packages come feature-rich and competitively priced. If your site requires a secure server, support for ASP.net, Joomla, WordPress or any other cutting-edge features, then Sheer Web Host is the right choice for your web hosting needs. For tech or billing support, sending e-mail or a trouble ticket is the best way to get results. Most support requests are answered in less than 24 hours. Phone: (856) 881-6000. Hours of Operation: Monday-Friday, 11 a.m. to 5:30 p.m. Eastern Standard Time. To contact billing, please e-mail billing@sheerwebhost.com. © 1998 - 2019 Sheer Web Host. All Rights Reserved. Monday-Friday, 11 a.m. to 5:30 p.m. Eastern Standard Time.